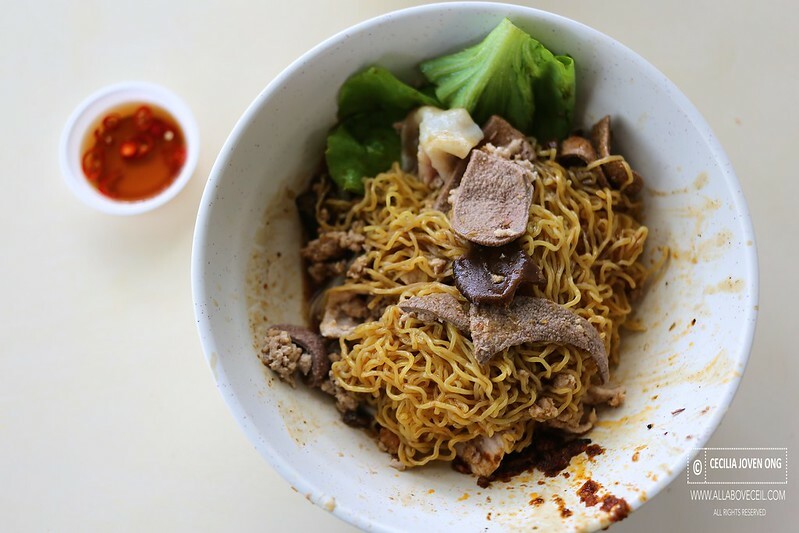 Though i have eaten this particular Bak Cho Mee for a few times but it has never been a favourite though it tasted above average. 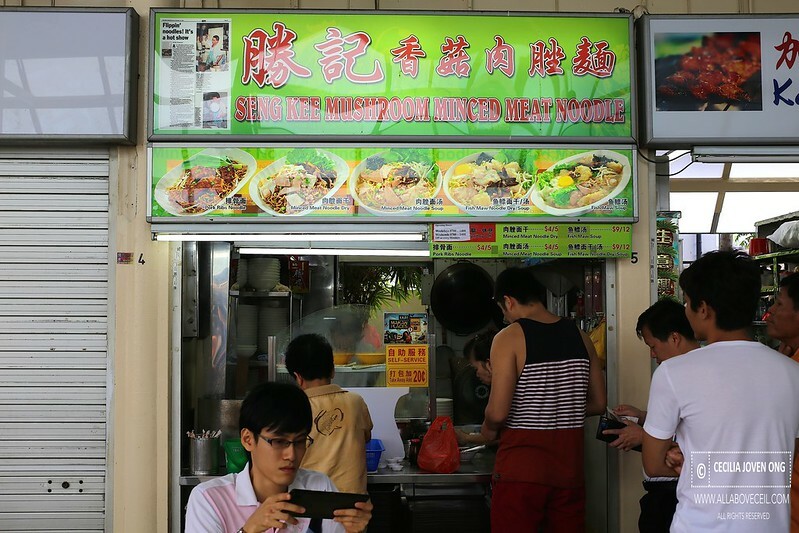 I used to really like the Bak Cho Mee from Joo Heng Mushroom Minced Meat Noodle but they have already ceased operation for a while. I have since went on a hunt for the next favourite. I have tried some of those familiar ones but did not particularly like it. I happened to be back for another 2 times to eat at this stall and i started to fall in love with the taste. It is nice, even nicer than the famous one at Crawford Lane. Taste aside, it is definitely more value for money with a shorter queue. There are the $4 and $5 portions for selection. 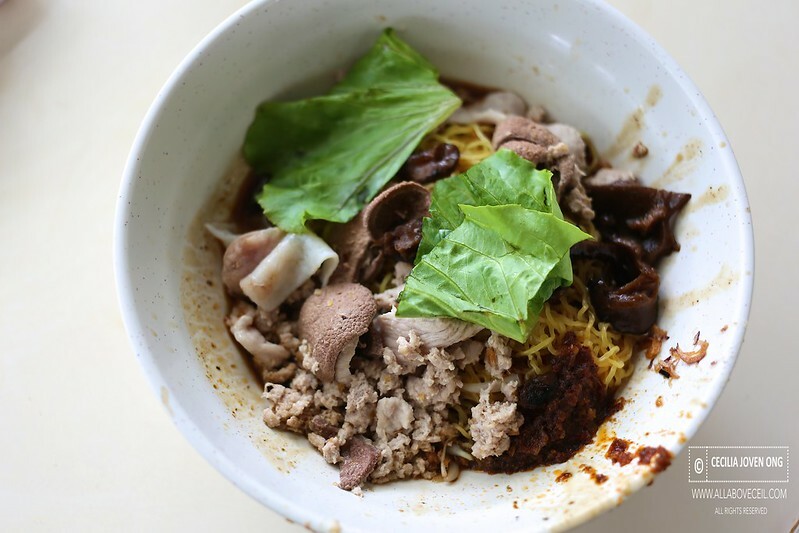 The ingredients consist of braised mushroom, minced meat, slices of lean meat and pork's liver, fish dumpling and greens served along with perfectly cooked mee kia. Though requested for an extra amount of chilli to be added but the level of spiciness was rather mild. When mixed it well, the fragrance of the chilli blended well with the sauce and a tasty bowl of noodle awaits. This is the closer alternative to the version by Joo Heng Mushroom Mined Meat Noodle that i really liked. One of my favourite BCM! !